Yeesh. I got behind a week on posts. It's been slightly crazy lately. The good news is the renovation marches on. Michael moved the water heater, which was a project and a half. It involved a lot more crawling around under the house than he thought it would. Michael framed that in. 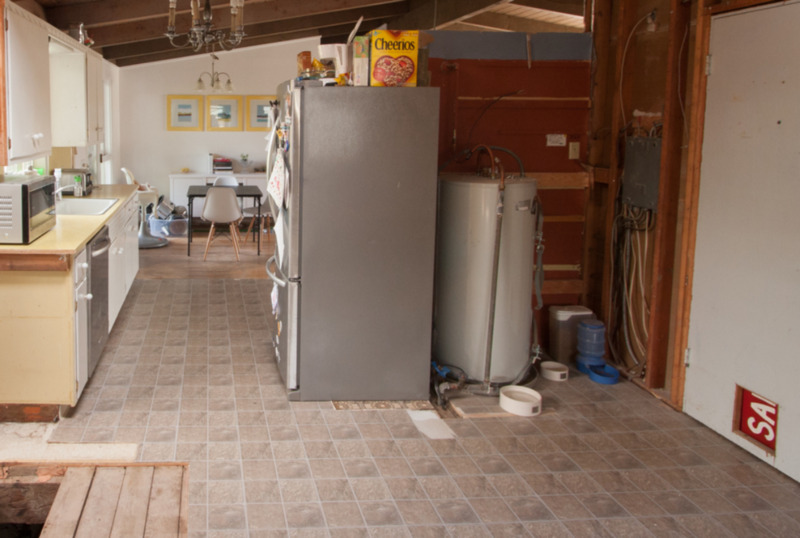 The left side will hold the fridge, the right side will be the pantry. Now Michael is doing electrical and flooring. Flooring - YAY! That means we are officially into the land of cosmetic renovation! That means we are getting closer to done! That means we may have a functioning kitchen by Thanksgiving! I would do cartwheels if I could. Hopefully more to come next week. The floors and electrical will likely take all of this week and part of next week. But then we can do drywall and paint and start putting cabinets in. Hooray!